Major Label Deals and Endorsement While some released albums others signed major deals, 17 year old Samantha J best known for her hit single 'Tight Up Skirt' inked a major record deal with label giants Columbia Records. 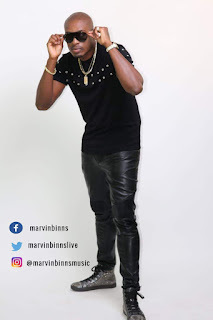 Shaggy also signed off on a major deal with Sony while Omi inked a major deal with Ultra Music via Sony Music Entertainment. Bounty Killer/Beenie Man historic 'Legendary' Collaboration is a musical unification between the Dancehall icons and a move the industry needed. We also consider this collaboration as a milestone not only for the two artistes but for Dancehall at a time many probably taught could never happen. Bounty Killer and Beenie 'Legendary' single is produced by Starstruck label. The British Mobo Award goes to Stylo G a Jamaican/British artiste who won his first ever major award over big names such as Sean Paul, Popcaan and Tarrus Riley. Stylo G stayed true to his dream of getting recognized as a reggae/dancehall artiste in the UK. His first major impact in the UK was in 2010 with a Grime music recording called 'My Youth' after which he vowed to have his UK fans recognized him as a Reggae/Dancehall artiste. 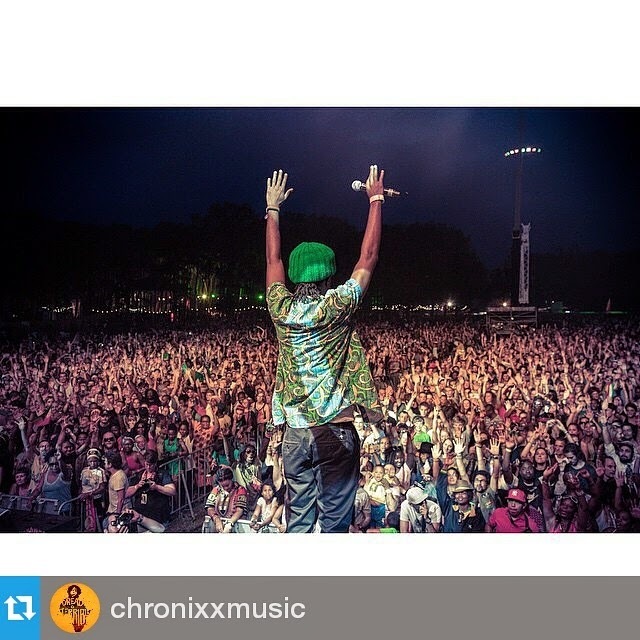 Chronixx created ground breaking opportunities for himself in 2014 and quietly increased the size of his audience from small venues to arenas and mini stadiums in places unlikely for current Jamaican artiste as in the case of the massive crowd turnout to see Chronixx in New Zealand. swell in the size audience they perform for or break new grounds are JARIA's Breakthrough Artiste of the Year, Kabaka Pyramid who was also nominated for a Juno Award in Canada Demarco who was nominated for an award in Australia for a song he did with popular African Reggae artiste Samini and Popcaan who drew over 40k strong in Kenya. Among the spectacular moments Tessanne Chin experience in 2014 is a performance at the White House for US President Barrack Obama and First Lady Michelle Obama at the White House. The Caribbean was well represented when Tessanne Chin and Machel Montano made favourable impressions at the Soul Train Awards. 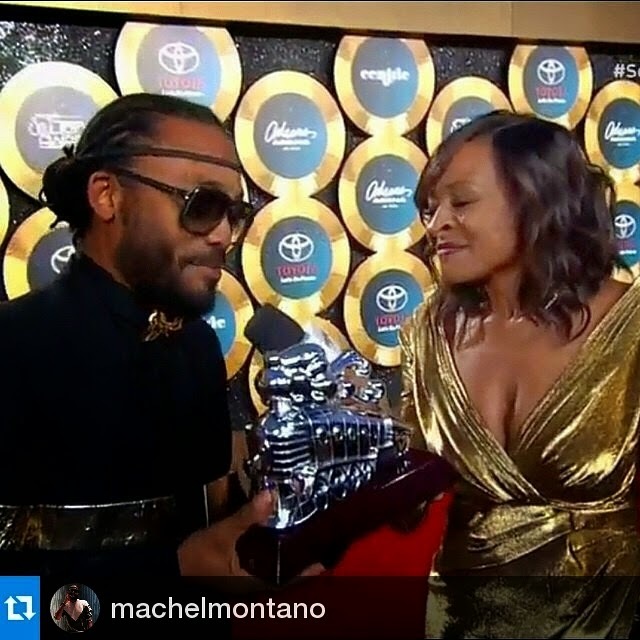 Machel Montano won the Award for Best International Performance while Tessanne made a cameo appearance during the highlight of the Soul Train live show, Legendary Award presentation to Kool And The Gang. To illustrate how far their influence has spread, several US superstar gave musical tributes to the legends as well as Jamaica's own and the 2013 NBC Voice champion, Tessanne performed alongside Liz Warfield. Both Tessanne Chin and Machel Montano also made presentations. Wolf Blitzer and Tessanne presented Aloe Blacc's Soul Inspiration performance and 40 year old energy laden, presented the Best New Artiste award alongside Kim Coles. Powerhouse label VP Records celebrates 35 years sharing their story and history of Reggae music with a state-of-the-art display designed by Michael Thompson. From Ska to rocksteady, roots reggae to dub, lover's rock to dancehall - VP Records has been at the forefront of Jamaica's musical evolution. 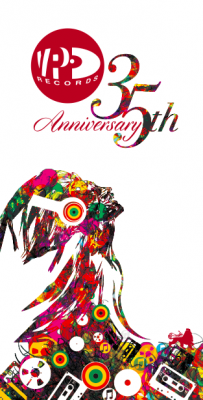 2014 marked the 35th anniversary when its founders Vincent and Patricia Chin moved their headquarters from Kingston, Jamaica to Jamaica, New York transforming their operations to the largest reggae company worldwide. Mr Vegas struck a milestone in his career when Beyonce's 'Standing On The Sun' remix featuring him made her self-titled Platinum edition, visual album BEYONCE. Tifa hit Billboard/Twitter Emerging Artist Chart and became the first Jamaican artist to do so on the newly installed chart. Her song, 'Bak it Up' peaked at #8. 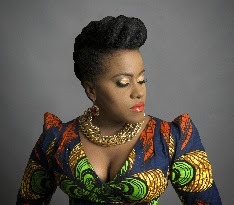 One year after releasing the video for her raunchy Dancehall track 'So Mi Like it' Spice celebrates the video's over 12 million views on youtube. So Mi Like It is a Notnice Production. Popular radio DJ/ZJ Liquid, also struck a milestone when he and Jamaican born, New York base DJ Jabba of the famous Jabba and Bobby Konders duo were both nominated for a Global Spin Award. 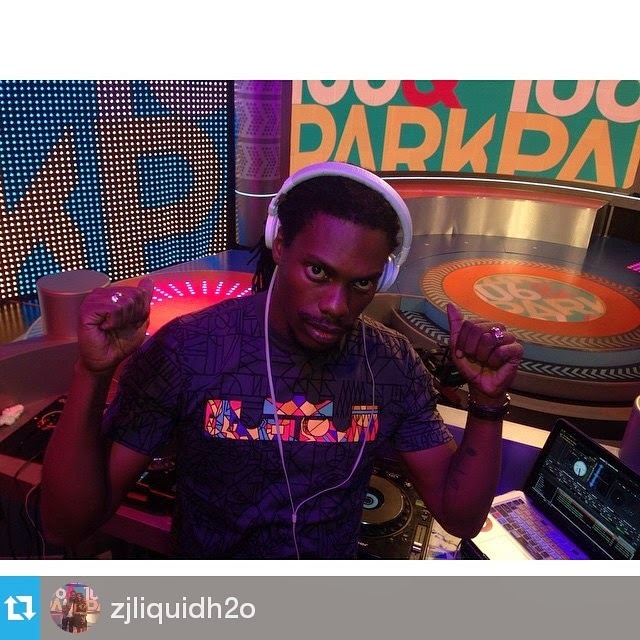 Another personal and possibly historic move on the path of ZJ Liquid was his showcase as a Special Invited Guest DJ on BET 106 and Park show. Show with Jimmy Falon, QQ and Wayne Marshall BET performance and Sean Paul's Performance on the Arsenio Hall show with Konshens. They perform their Want Dem All collaboration off the Full Frequency album now up for a Grammy. Gospel singer Judy Mowatt and Reggae Queen Marcia Griffiths were honoured in New York. 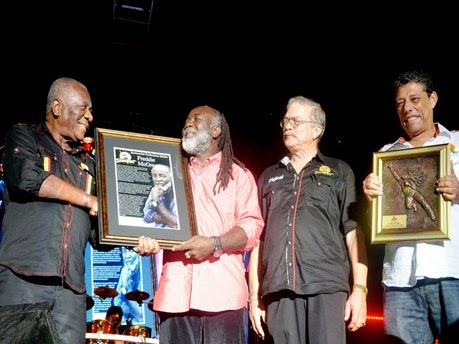 The two former members of the I-Threes and back-up vocalists for the undisputed King of Reggae Bob Marley, received the Reggae Ambassador's Award' in New York. The awards were presented to the ladies for their supres artistry, outstanding achievement and contribution to the development and promotion of reggae worldwide by VP Records and Groovin Inc.
Freddie McGregor Received the Reggae Sumfest Award for his 'sterling contribution to reggae.' Mr Gregor a Pioneer in the Reggae music industry started out his illustrious career at seven years old as a member of The Clarendonians in 1963. 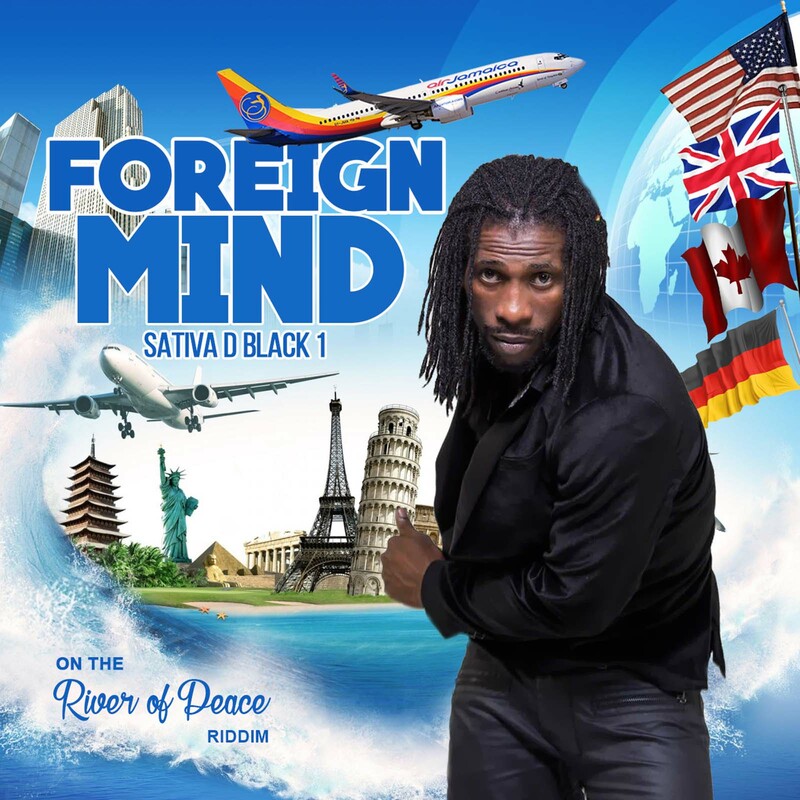 Reggae crooner Sanchez was honoured at Unifest for his career accomplishments and contribution to reggae music. Commissioner Alexandra Davis on behalf of Mayor Lori Mosley and fellow commissioners of the city of Miramar in Florida, presented Kevin 'Sanchez' Jackson with a proclamation; citing May 17 as the official 'Sanchez Day' in the city. The passing of Bunny Rugs, former lead singer of Third World Band, John Holt, Wayne Sleng Teng Smith and 27 year old IRIE FM CEO Chad Young hit the industry hard but one must continue until his own journey ends, R.I.P. gentlemen. The top-selling albums in the US in 2014 according to @chartnews are #1 Frozen Soundtrack 3.4M, #2 "1989" by Taylor Swift 3M and #3 "In The Lonely Hour" by Sam Smith 1.05M. In a new report NIELSEN, primarily focused on TV and new media, has found good news and bad news for radio's listnership. NIELSEN's "Total Audience Report" December 2014 found that radio's overall number of 2+ users was 258,754,000 in Q3 2013 however TSL was down 58:53 in Q3 2014 from 60:42 in Q3 2013. 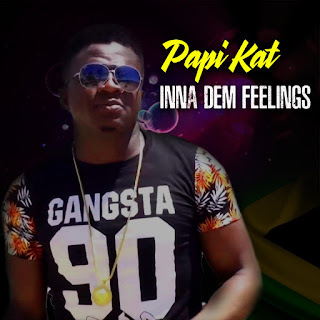 October 2014 - How One Artiste Kept His Album a Secret From the World? If you're one of the tens of millions who use Spotify's free service, prepare to be taken over. The streaming music giant has announced a pair of new video ad products that will give brands a super-sized presence while you listen. Metallica - for being the first and only band to ever perform a concert on all seven of Earth's continents and in a single year. One Direction - has the distinction of being the first act to debut at No. 1 with first three albums (Midnight Memories, Up All Night and Take Me Home). Miley Cyrus - for being the most searched-for Pop Star on the internet. Shakira - who overtook Rihanna as the most 'liked' person on Facebook, then broke records again after earning the 100 millionth fan 'like' on social network becoming the first person to reach 100 million likes on Facebook. Katy Perry - for being the musician with the most twitter followers (52,463,838). 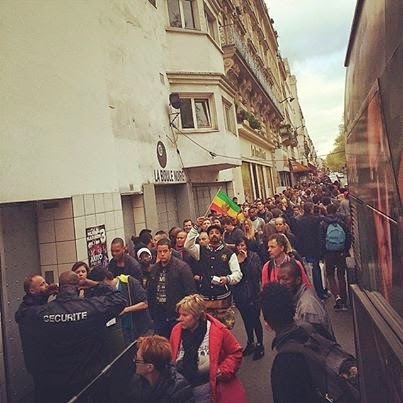 August 2014 - How did Rastafari turn from an ostracised religious sect into a global phenomenon?